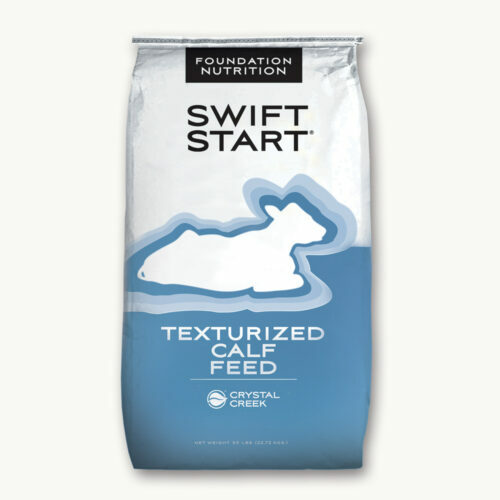 Feed Swift Start® 22% Calf Starter free choice to young pre-weaned calves and post-weaned calves for several weeks. Offer high quality dry hay starting at 6 weeks of age. 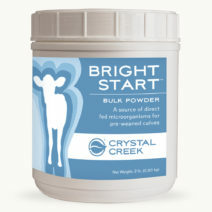 Always provide clean, fresh water when feeding Swift Start™ 22% Calf Starter. 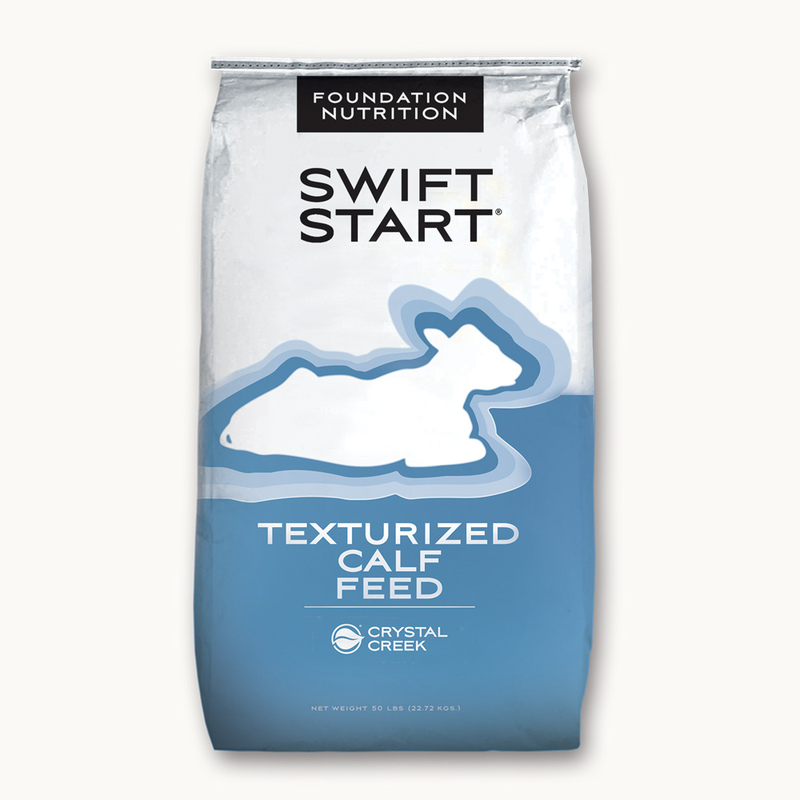 Calves should be eating at least two pounds of Swift Start® 22% Calf Starter per head per day before weaning. 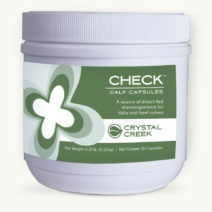 For more information on balancing rations for calves and heifers contact Crystal Creek®. Caution: Swift Start® 22% Calf Starter contains Selenium. 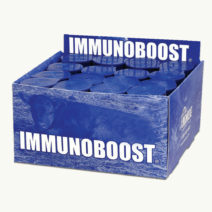 The addition of feed of higher levels of Selenium is not permitted.